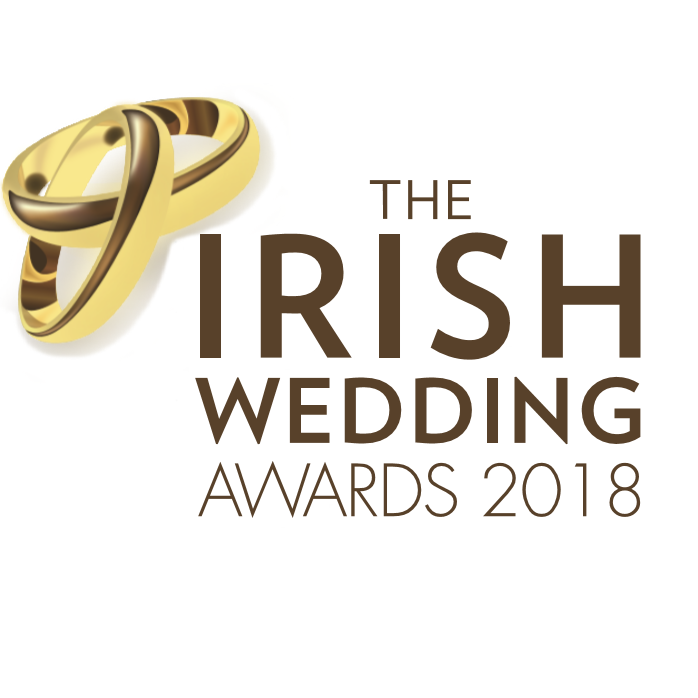 Hello, this post is dedicated to the Winners of The Irish Wedding Awards. 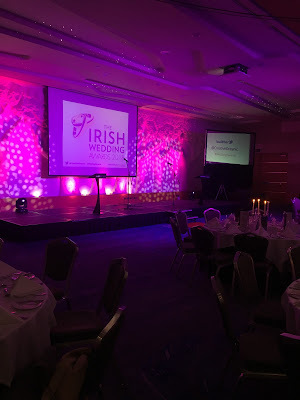 I went along to the awards ceremony held on the 28th January in the Crown Plaza Hotel. It was a fantastic night celebrating Irish wedding suppliers, from bridal boutiques, photographers, venues, cakes and everything in between. We were treated to entertainment from AcousticA a duo act that had the room rocking. They sang the Backstreet Boys so that was me sold (huge Fan). I would highly recommend them if you're searching for your wedding entertainment, their voices are amazing. It was great to have the opportunity to attend and to get glammed up, now that is always a plus. "The awards aim to celebrate the work and commitment of the Irish wedding industry and recognise those who go above and beyond to make a couple’s special day the best experience it can possibly be. 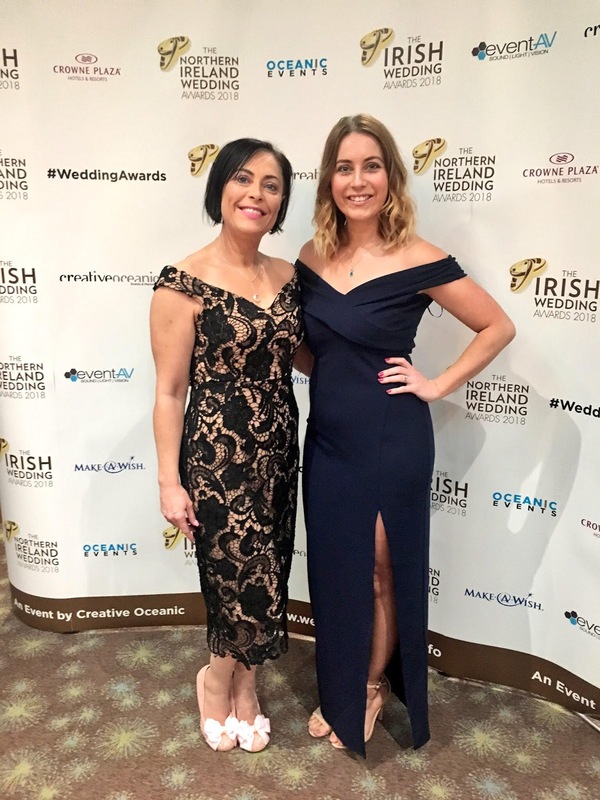 The Irish Wedding Awards are brought to you by Creative Oceanic, an events and marketing agency who are responsible for some of Ireland’s most successful and well known events such as the Irish Hospitality Awards and the Irish Hair & Beauty Awards amongst others." Below is a list of all the winners, if you're wedding planning this will definitely help. You can view the full list of finalists here. Big congratulations to all of the winners and finalist. I really had to stop myself from showing hundreds of dresses, just because there are so many beautiful ones out there. 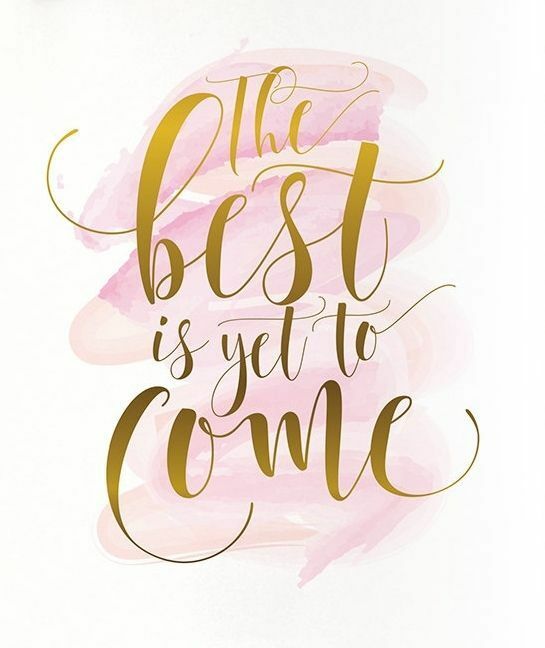 Every one is as stunning as the last. 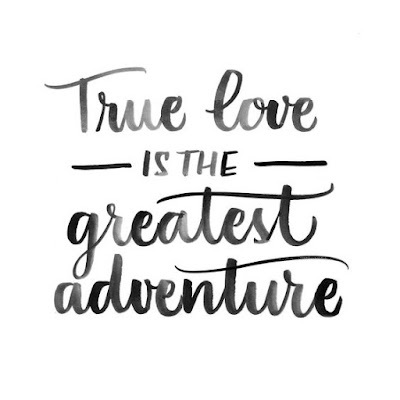 Even though I have had my magical day, I still love looking at wedding dresses and if I could try them on for fun I so would. 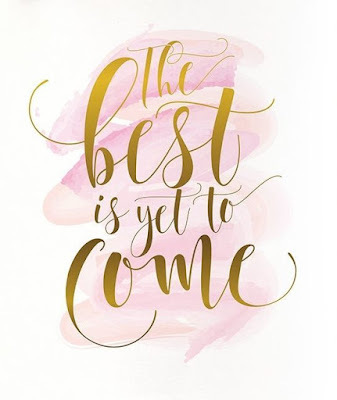 We are coming up to our 4 year anniversary on the 10th September. So if you see me in my wedding dress on instagram it's OK. I figure I payed enough for it, I may as well try it on every now and then. 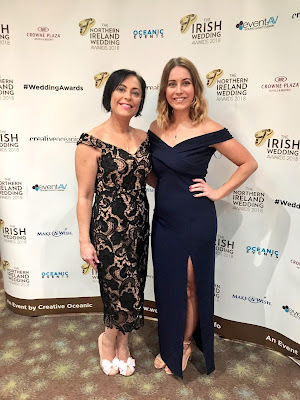 All the designers I have featured are available to buy in Ireland, maybe not the dresses I have chosen, but some of their collection will be available. I have featured some of the 2016 collection from Pronovias, its just fabulous. . If your going wedding dress shopping, check out a post I did called "It's All About The Dress" for some tips. As always direct links are under each image. On Thursday 2nd June I went to visit venue number two, the breathtaking Ardgillan Castle. Located between Balbriggan & Skerries. If you have ever visited here you will understand what I mean. Everytime I go to Ardgillan I literally fall in love with it all over again. Whether I go for coffee in the tea rooms, bring my daughters to the playground or just walk around the grounds. I adore it and Ardgillan was recently featured on Lovin Dublin as the best park in Dublin to visit, now that's pretty cool.